“What a stylish Fujiyama goods!” You may be surprised to see our Fujiyama goods. 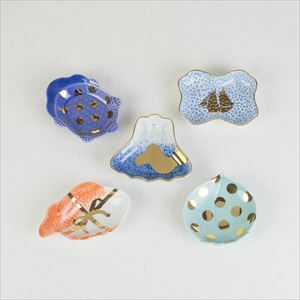 Japanese craftsmen produce various Fujiyama motif items from cute product to chic one. 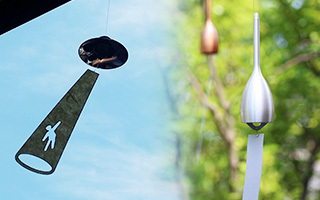 We collect high-quality handmade Fujiyama goods here. Please find your favorite Fujiyama. When Japanese people hear this, most people remember Fujiyama. Fujiyama or Mt. Fuji rises solemnly as a symbol of Japan. 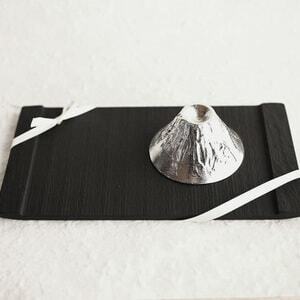 How about cherishing Fujiyama in your life? Fujiyama goods in Japan Design Store pass 4 strict standards that “Made in Japan, High-quality, Good design, Rarity.” Our Fujiyama goods are not common one. Fujiyama is now the proud of Japan and the heritage of the world. 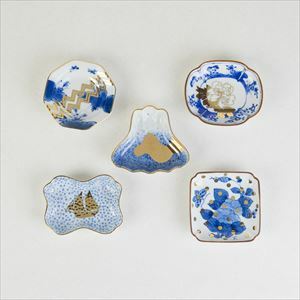 Beautiful Fujiyama goods have been popular for the gifts for overseas customers. Also, Fujiyama motif is auspicious. So, it is great wedding gifts or longevity gifts. If you would like to enjoy Fujiyama goods every day, we recommend Fujiyama rice bowls. 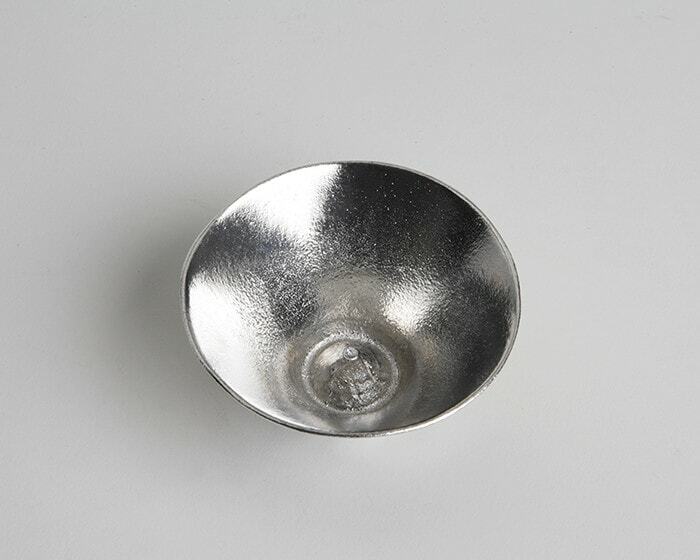 As you use it every day, the rice bowls gets suitable for your dinner table. Here, let us introduce special Fujiyama rice bowl for white rice. 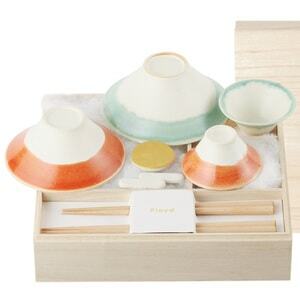 If you look for stylish rice bowls as Fujiyama goods, we recommend FUJIWAN from Floyd. FUJIWAN is a natural Fujiyama rice bowl with cute and gentle atmosphere. 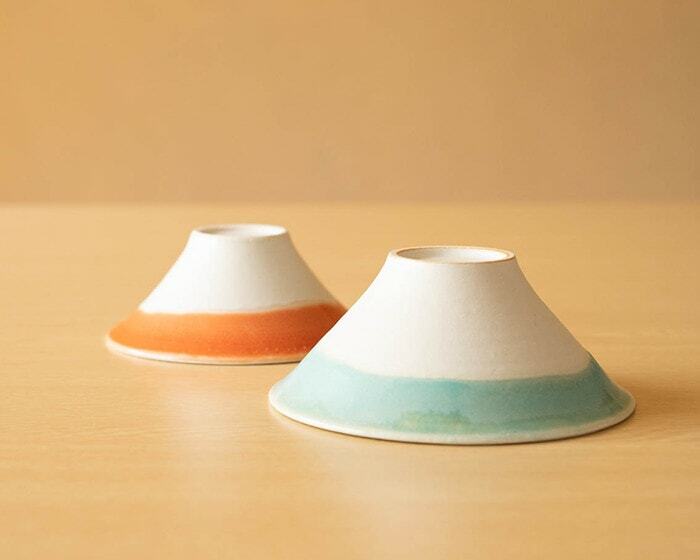 On the white glaze of white snow, transparent turquoise or red glaze are glazed to express the grand scenery of Mt. Fuji. 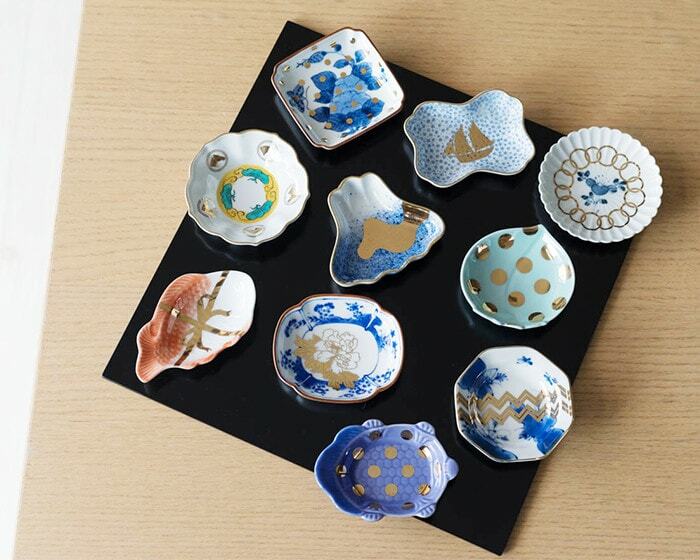 Craftsmen of Hasami porcelain glaze the rice bowls one by one, so there is no same bowl in the world. It is like Fujiyama shows us different scenery every day. 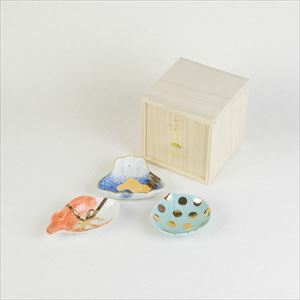 Please enjoy your own scenery of Fujiyama with stylish Fujiyama rice bowls. 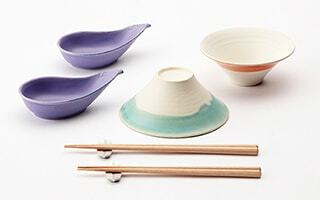 In our store, unique set Ichi-Fuji, Ni-Taka, San-Nasubi has been popular which is with a pair of Fujiyama rice bowls, a pair of Eggplant bowls, a pair of chopsticks rests, and 2 pairs of chopsticks. Unique and cute FUJIWAN has been popular gifts. They are popular as wedding gifts, wedding anniversary gifts, or housewarming gifts. 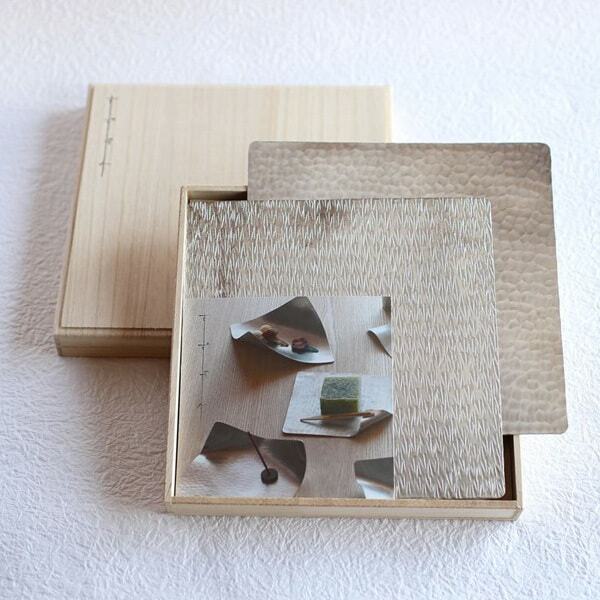 FUJIWAN is within beautiful paulownia box. 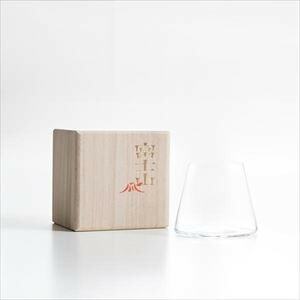 Among various Fujiyama goods, Fujiyama glasses have been especially popular for gifts. Depends on the colors of drink, the glass of Fujiyama changes its color. 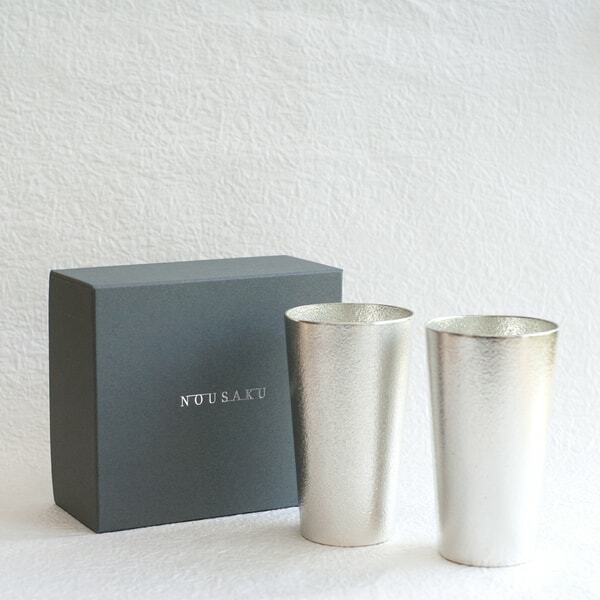 We introduce Fujiyama goods which is made by Japanese glass craftsmen. Gold Fujiyama appears with beer! If you a beer lover, we would like to recommend “Fujiyama Glass” from Sghr (Sugahara.) 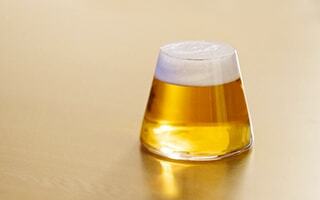 It is Usuhari beer glass that has only 1mm thick. Usuhari means thin glass. 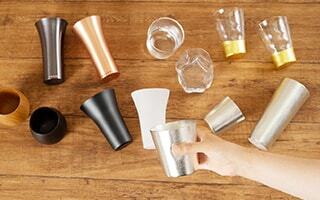 So, Fujiyama Glass has delicate form and smooth texture. When we pour beer into Fujiyama Glass, the froth of beer becomes white snow on the Fujiyama. In addition to gold beer, you can try black beer or red beer. 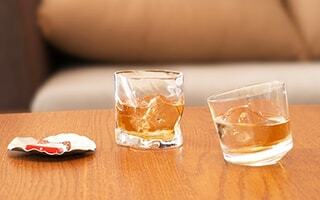 Of course, you can enjoy wine or whiskey with the glass in addition to beer. Also, you can drink coke, iced coffee, or orange juice. Depends on the drink you choose, you can enjoy various colors of Fujiyama. 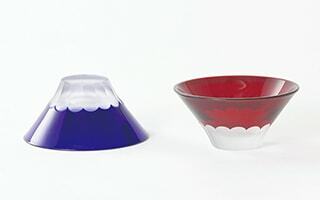 Fujiyama Glass is designed by a product designer Keita Suzuki. 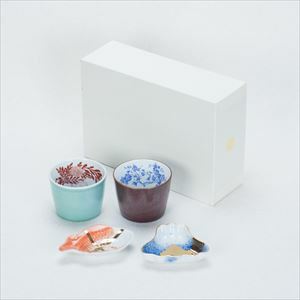 This Fujiyama goods won Special Jury Award in “Tokyo Midtown Award 2008.” Fujiyama Glass is within a sophisticated exclusive paulownia box. [Sghr] Depends on the colors of drink, you can enjoy various colors of Mt. Fuji with Fujiyama Glass. Pouring beer makes one of the most beautiful scenery in Japan. Handmade glass would be great gifts as well. Fujimi sake (drink sake with the view of Fujiyama) with Fujiyama goods. 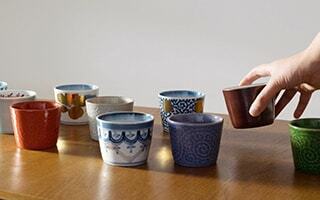 How about having a special sake time with Fujiyama sake cups? We have cool sake cups of Japanese traditional crafts for Fujiyama lovers. It is good time to drink sake with seeing beautiful Fujiyama. 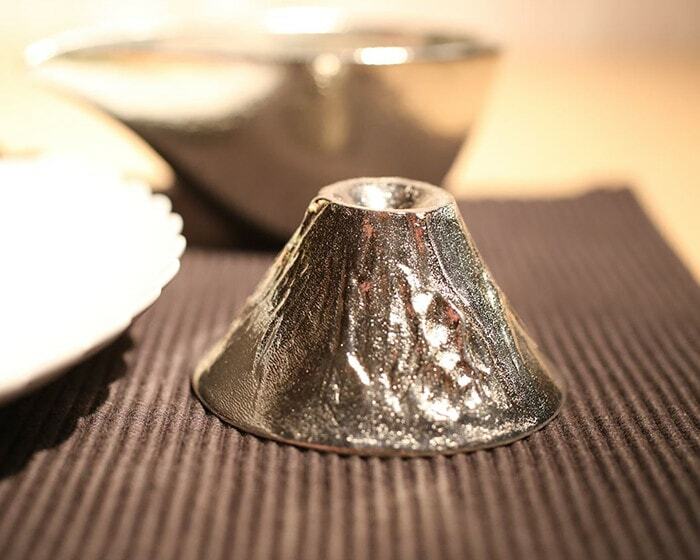 If you like Japanese sake, we would like to recommend FUJIYAMA guinomi cup from Nousaku. 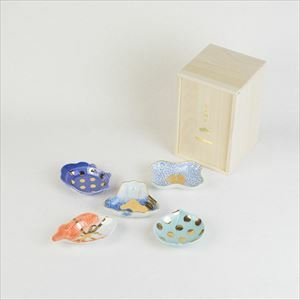 It is different from cute Fujiyama goods we introduced above, but a beautiful and solemn item. “It is true that it’s beautiful. But can’t I enjoy Fujiyama when I drink sake?” You may think so. 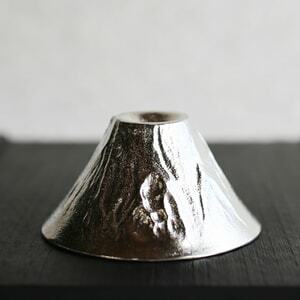 This sake cup has beautiful design of Fujiyama when it is turned over. However, this sake cup has small Fujiyama at the bottom of the cup. You can enjoy Fujiyama under the water. 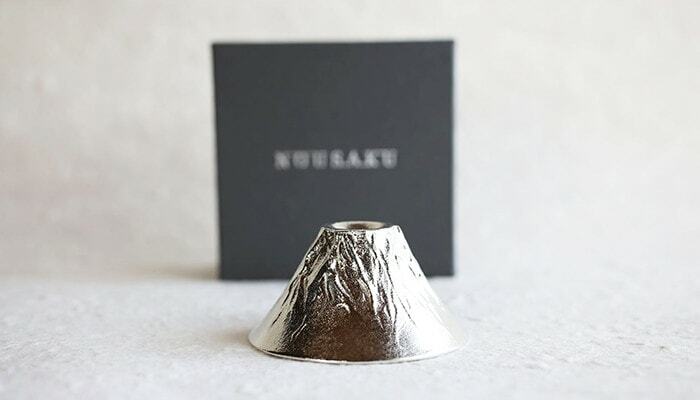 FUJIYAMA sake cups of Nousaku is made of 100% pure tin. Tin is the third expensive metal after gold and silver. 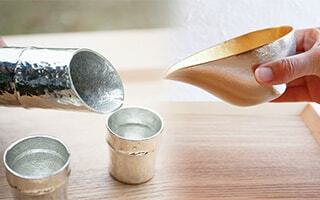 Tin is famous for its special effect to make sake delicious. Also, the gloss of tin makes sake look more beautiful. With FUJIYAMA sake cup, you can enjoy Fujimi Sake anytime. 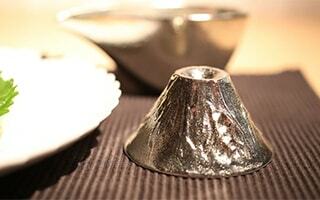 You can also enjoy beautiful Fujiyama as an art object when you do not drink sake. 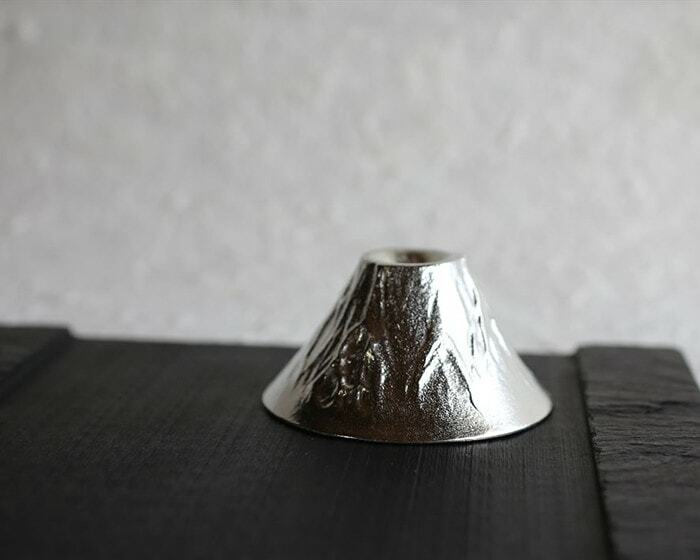 [Nousaku] FUJIYAMA is a tin sake cup with traditional casting skill and Mt. Fuji design. You can feel the real feeling of Japan from this sake cup. This FUJIYAMA cup have gained great popularity from sake lovers in and out of Japan. If you look for Fujiyama goods made of Edo kiriko, we recommend Fuji Edo Kiriko from Floyd. 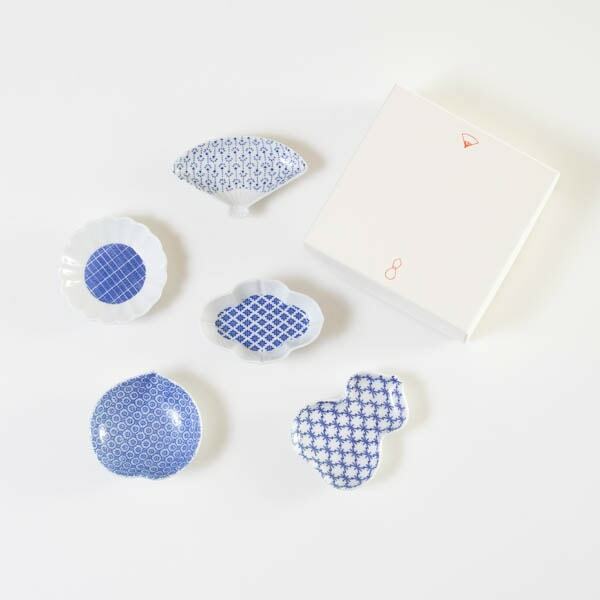 When you imagine Edo Kiriko, you may imagine traditional patterns. But this Fujiyama sake cup has modern cutting. Cutting of Fujiyama expresses the snow of Fujiyama. Traditional craftsmen in Sumida ward of Tokyo carefully cut this Fuji Edo Kiriko one by one. Simple design makes sophisticated skill stand out. 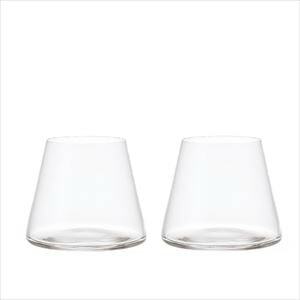 You can enjoy the transparency of glass with Japanese sake or put some dishes. It is beautiful Fujiyama goods. Which do you like Aka Fuji (Beni) or Ao Fuji (Ruri)? You can use Aka Fuji and Ao Fuji as pair glass. Red Fuji Edo Kiriko has been popular item as longevity gift in Japan. 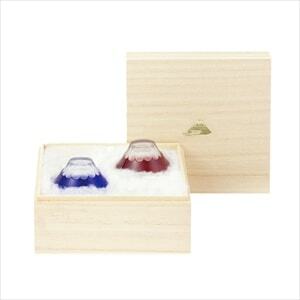 Auspicious and traditional Fujiyama sake cup has been popular wedding gifts. 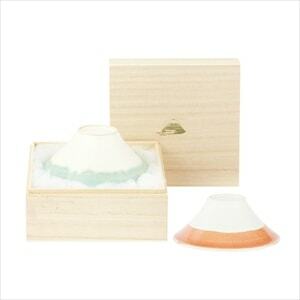 Beautiful sake glass is within elegant paulownia box. [Floyd] This is Japan! 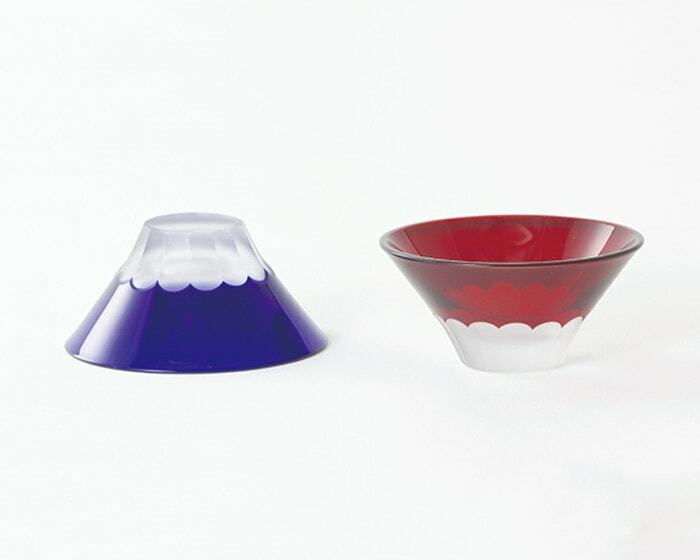 Edo Kiriko cut glass meets Fujiyama. Modern design, traditional color, and traditional skill. 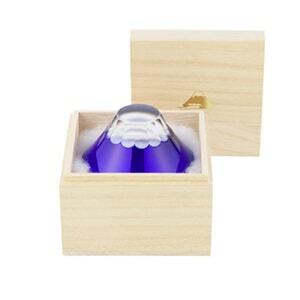 Fujiyama Edo Kiriko cut glass arrives at your house within a paulownia box. Nice gift from Japan. The highest mountain in Japan becomes palm size plate! Mamezara means small plates. 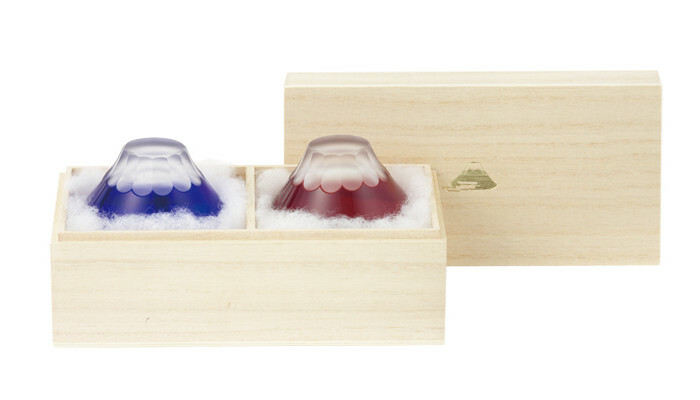 With this Fujiyama goods, you can enjoy the highest mountain on your hands. Mamezara is useful and cute. We would like to introduce Fujiyama Mamezara that is filled with Japanese spirit. Among some Fujisan mamezara, we recommend MAME series from amabro. About 1000 years ago, a Japanese woman Sei Shonagon wrote about the cute things in her essay "Makura no Soshi. (The Pillow Book)" In that essay, she wrote that "all small things are cute things." 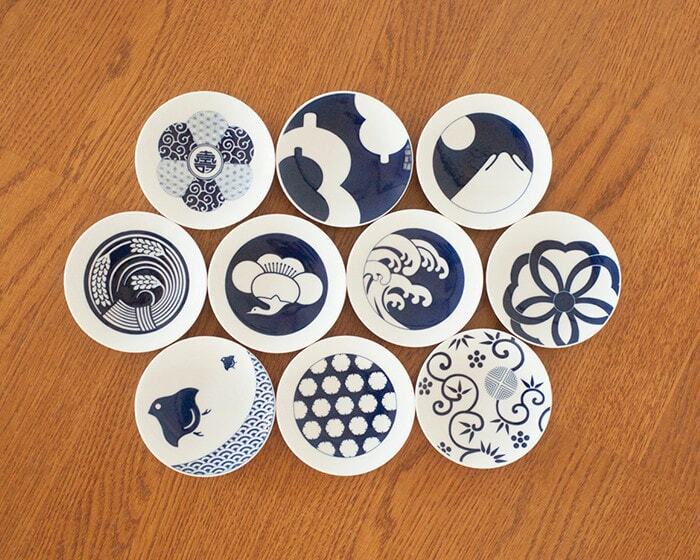 The motifs for MAME comes from plates used in Genroku, about 330 years ago. Keeping traditional patterns and forms and redesign it for modern lifestyle. “Fukisumi-Fuji-kata-sara”, the plate of Fujiyama expresses grand plain below Fujiyama with traditional skill Fukisumi. Gorgeous gold paintings look beautiful on dinner table. 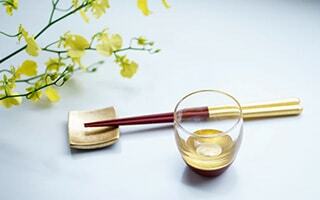 In MAME series, we prepare traditional Sometsuke sets or auspicious sets. 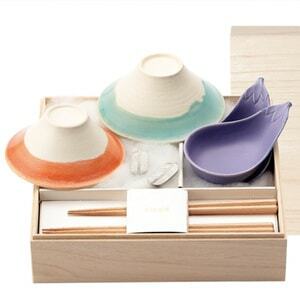 We also offer gift sets within paulownia box. Fujiyama goods collector will be satisfied with the quality. 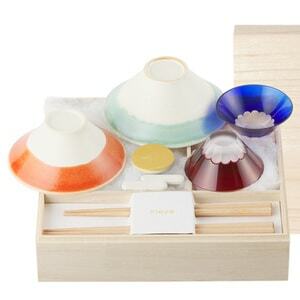 Next, we would like to recommend this Fujiyama goods KOMON mamezara from KIHARA. 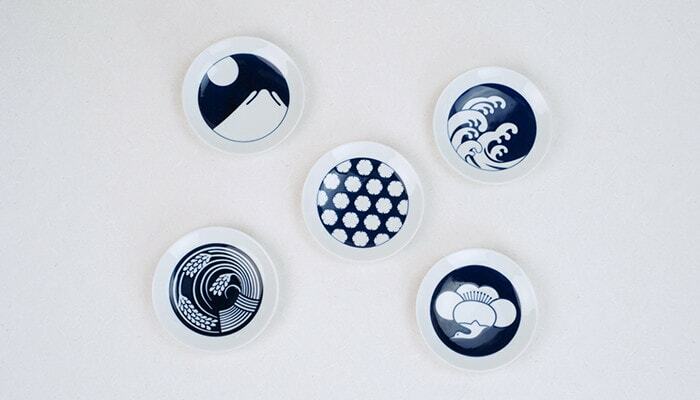 This Arita plates were born with a wish that “we wish people feel Arita ware more familiar.” So, these plates have modern graphic design. 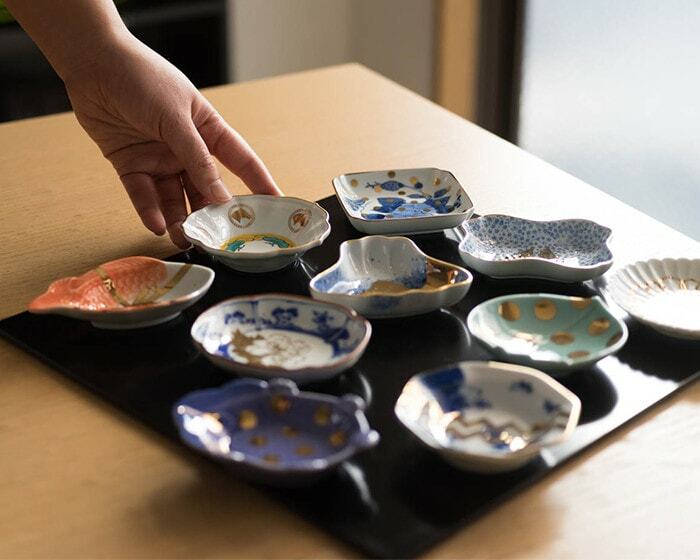 In Kisetsu-mon series, craftsmen express Japanese 4 seasons on Mamezara. In addition to mamezara of Fujiyama, the set includes, Umezuru, Maromon-Nami, Inaho and Yukiwa. 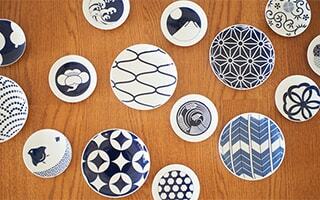 Beautiful deep blue plates work when you have guests as well. Mamezara of Fujiyama from KIHARA is as big as kozara. 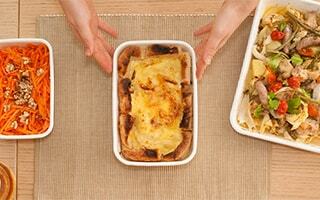 You can use the plates as individual plates or plate for seasonings or sauce. 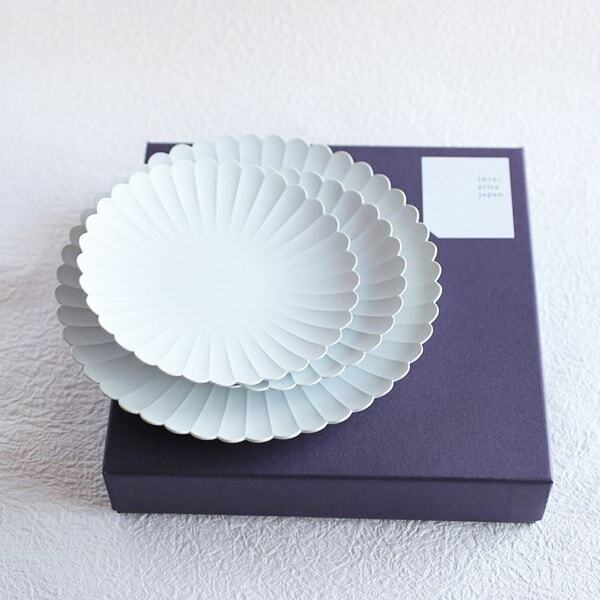 Simple and useful plates set have been especially chosen as wedding favors. Of course, beautiful Fujiyama goods are recommended for your own use. [KIHARA]Japanese small plates of KOMON series from KIHARA. The mamezara and Torizara have Japanese traditional auspicious patterns. Cute patterns with chic colors. 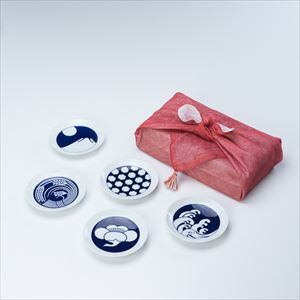 Auspicious motif plates are suitable items for gifts. We have Fujiyama goods for kids. 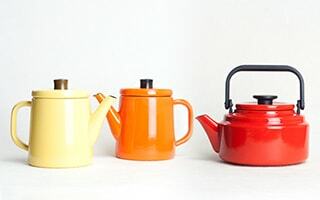 A person can use ceramics from his / her childhood to adulthood. 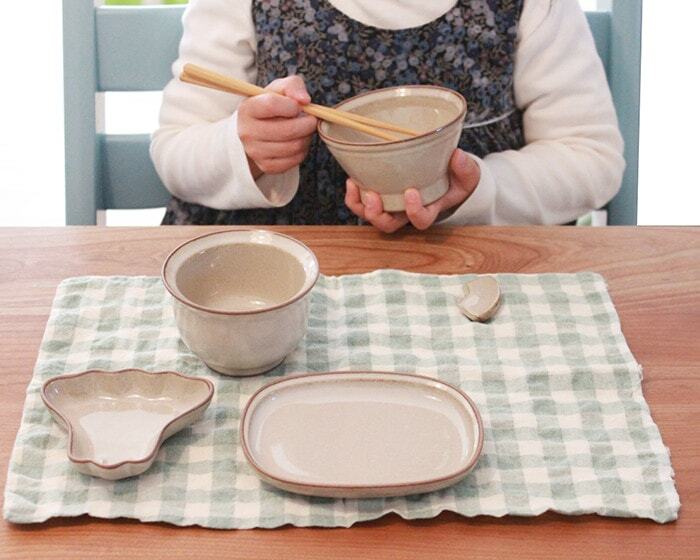 For their important tableware, we recommend auspicious Fujiyama tableware. 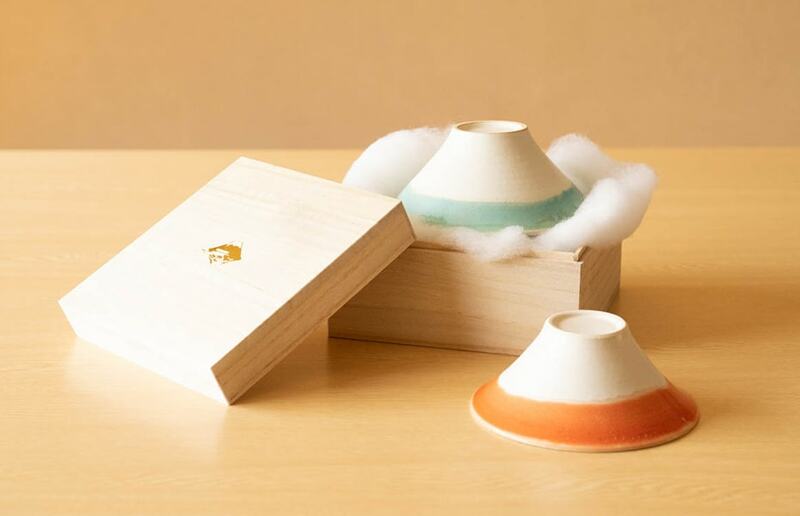 How about sending auspicious Fujiyama goods as new baby gifts? 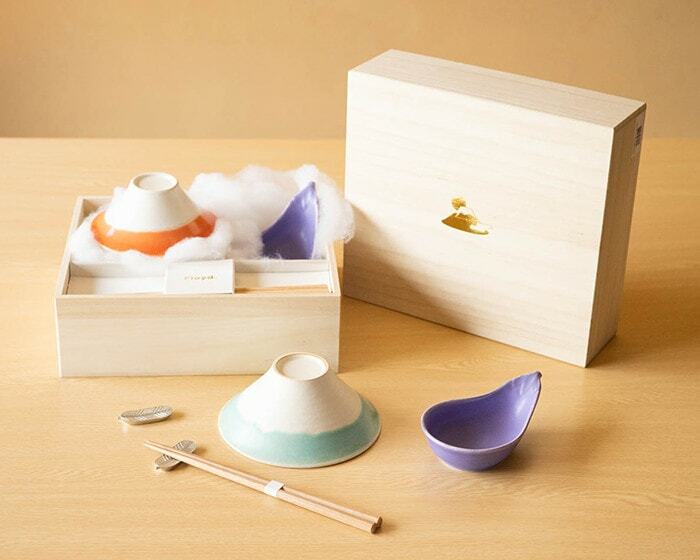 OKUIZOME from amabro is a tableware set for the Okuizome ceremony that celebrate a baby’s 100th day of life. 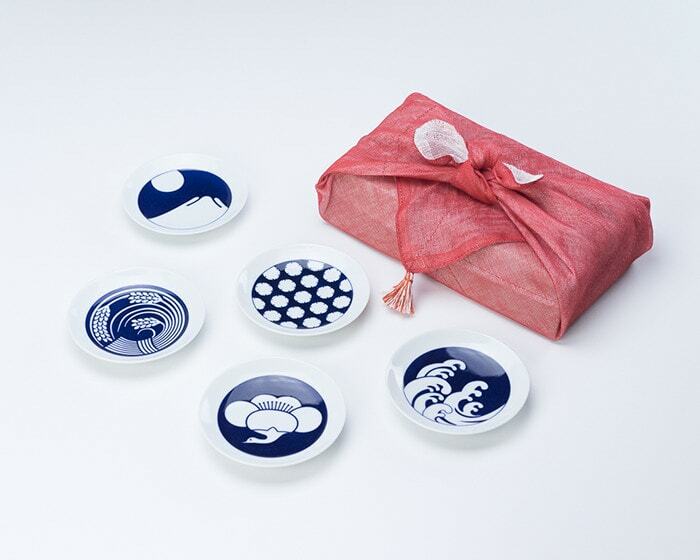 As the plate for Hagatame Ishi, this OKUIZOME set includes Fujiyama mamezara. Okuizome is a ceremony to celebrate and wish for healthy growth. So, auspicious Fujiyama mamezara is suitable. 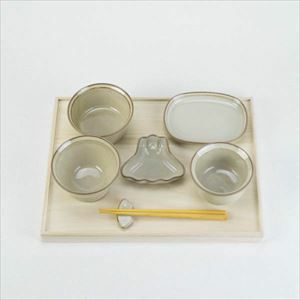 After Okuizome ceremony, tableware set can be used for baby food. 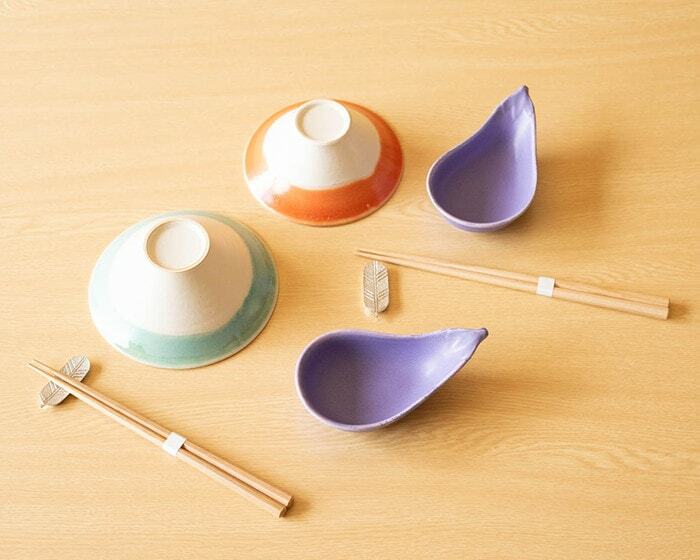 When babies grow up, they can use OKUIZOME as mamezara and small bowl. The tableware watch over a child’s growth. 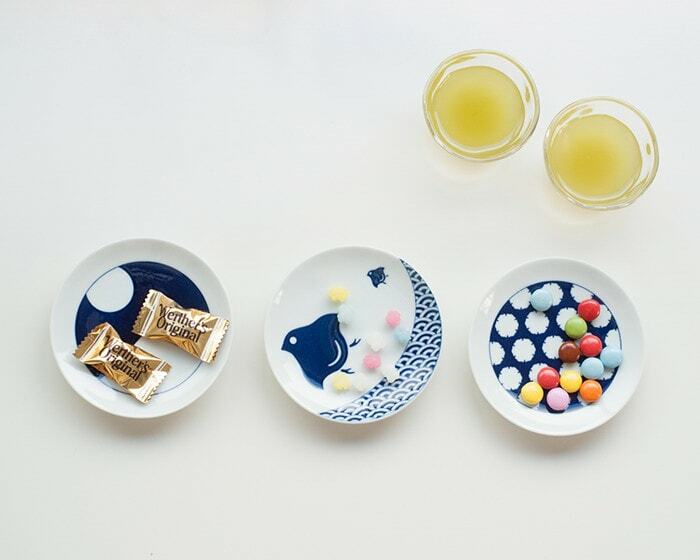 As the first tableware for babies, authentic item is recommended. 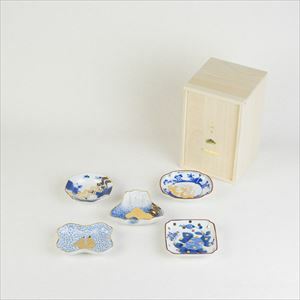 OKUIZOME set includes 7 items. 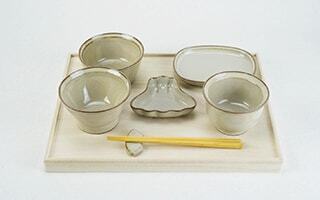 The lid of paulownia box can be tray for tableware set. 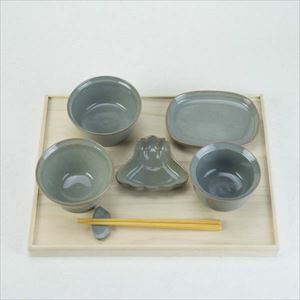 So, when you hold Okuizome ceremony, you can make a tableware set. [amabro] Okuizome is a ceremony to celebrate a baby’s 100th day of life. 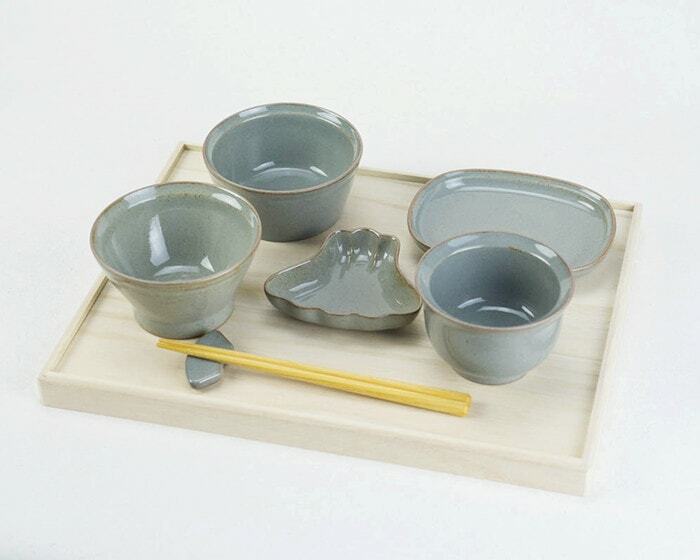 As the tableware for the ceremony, ceramic tableware set OKUIZOME is appropriate. 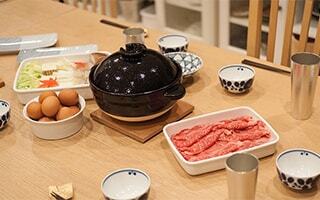 Ceramic tableware set can be used for a long time. Recommended item for new baby gift. What is the attractiveness of Fujiyama? The attractiveness of Fujiyama is its beauty. Mysterious and vigorous Fujiyama has been worshipped from ancient era. The wide plain below Mt. Fuji is formed by repeating eruption. No other high mountains rises near Fujiyama, so the existence of Fujiyama stands out. Who has climbed Fujiyama says the nature of Fujiyama along climbing and the view from the highest mountain in Japan are attractive points, too. February 23rd is “Fujisan Day” in Japan. In Japanese, 2,2,3 can read Fujisan in word play. 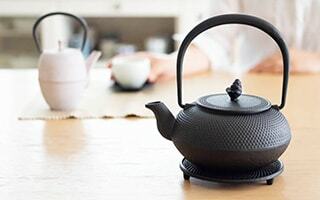 The day is established with a wish that “let’s learn Fujisan, think about Fujisan, and hand it over to next generations.” How about collecting Fujiyama goods every February 23rd? These are believed auspicious things if our first dream of the New Year’s Day is about these things. And, 富士 (Fuji) is also expressed as 不二 (Fuji) which means there is not same thing in the world. In addition, 富士 can be written as 不死 which means immortality. So, Mt. Fuji is the symbol of perpetual youth and longevity. Mt. Fuji is the highest mountain in Japan. So, we wish achievement of great purposes or high ideals and advancement in life. 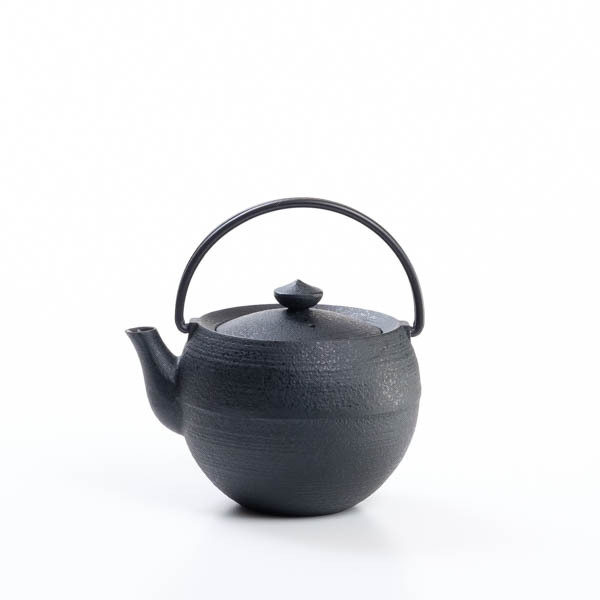 Fujiyama goods would be great wedding gifts, birthday gifts or housewarming gifts. Auspicious items will tell our wish a happiness of recipients of the gifts. Now, Japanese pride Fujiyama is the world’s treasure. Fujiyama is placed on the World Cultural Heritage of UNESCO in June 26th, 2013. Cultural significance of Fujiyama got reputation as historic mountain worship of Japanese people and motifs of art work. Graceful figure of Mt. Fuji has been motif of various creative activities. In “Man-Yo-Shu,” the Japanese oldest collection of Tanka (Japanese style poems) compilated in 8th century, some Tanka composed about Fujiyama were elected. Smoke from volcano of Fujiyama was symbol of burning love. Fujiyama is written in old books such as “Taketori Monogatari (The Tale of the Bamboo Cutter)”, “Ise Monogatari (The Tales of Ise)” and “Kokin Wakashu.” In addition, Fujiyama is composed in haiku by Matsuo Basho or Yosa Buson. Moreover, Natsume Soseki and Osamu Dazai wrote about Fujiyama in their novels. Ukiyo-e pictured Fujiyama is especially famous in the world. In “The Thirty-Six Views of Mount Fuji” by Utagawa Hiroshige and “The One Hundred Views of Mount Fuji” by Katsushika Hokusai, Hiroshige and Hokusai pictured view of Fujiyama from every place of Japan. It is said that those pictures influenced Impressionists. In recent Japanese pictures, various artists like Yokoyama Taikan painted Fujiyama. Mt. Fuji has repeated eruption from ancient era. People stands in awe of Fujiyama as a mountain where god dwells. In early 800s, people erected Sengen Shrine at the foot of Mount Fuji to calm down eruption. In early 1000s, Fujiyama became a place for mountaineering asceticism. Matsudai Shounin erected Dainichi temple at the top of Fujiyama in early 12th century. Now, the temple is no more exist. The ordinary citizens began to climb and worship Fujiyama with mountain ascetics in early 1500s. It is said that Hasegawa Kakugyo summarized doctrine of Fujiyama worship in late 1400s to early 1500. That doctrine has handed over to generation to generation, and about 1700s, Fujiyama worship came into fashion in Kanto area as “Fuji-Ko”, which is a religious association worshipping. Many people made a pilgrimage to Fujiyama or Fuji Five Lakes. Fujiyama goods have been popular in the world. How about sending “Fujiyama goods” as Japanese souvenirs or gifts? Host family, friends in other countries, or business partner in other countries, Fujiyama goods will be great gifts. 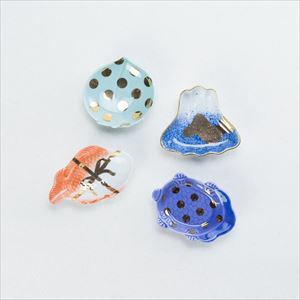 We believe that stylish Japanese crafts in Japan Design Store will satisfy people around the world. 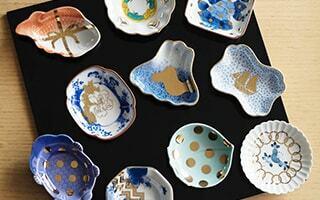 Japan Design Store ships to the world. 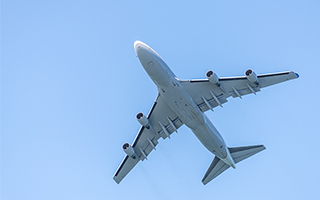 We prepare all the necessary documents for international delivery. If you would like to send gifts to your friends in other countries, please leave it to us. You may worry about importing items from a faraway country, Japan. Here, we describe all the procedures for your order. Some important conditions are also stated. Please check this page before you place order. This page will release you from anxiety. It is said “when you shape a mountain, you should make Mt. Fuji.” This phrase expresses the beauty of Fujiyama and how Japanese people think about it. 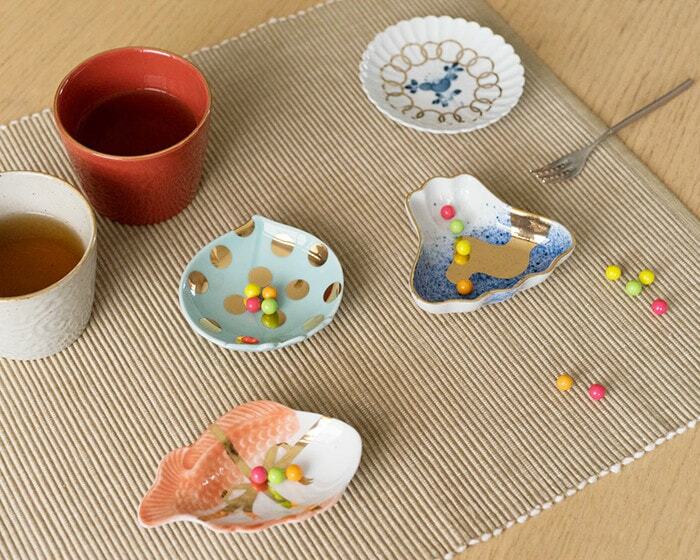 Cute, stylish, playful mind… You can enjoy various Fujiyama in your life with Fujiyama goods. Fujiyama goods have been loved by Japanese people for a long time. 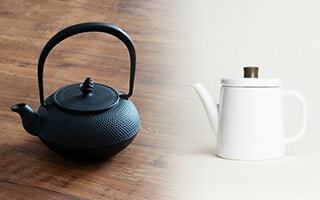 Auspicious Fujiyama motif items are great wedding gifts, housewarming gifts or longevity gifts. 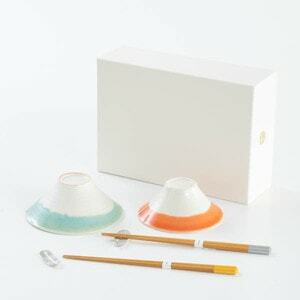 If you send Fujiyama goods as gifts, please leave it to Japan Design Store. We offer various gift wrappings for Fujiyama goods. Elegant Easy wrapping and Japanese Ume Mizuhiki option have been popular. 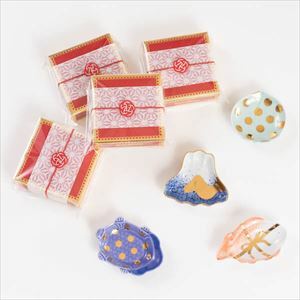 You can also choose Japanese traditional Noshi wrapping. 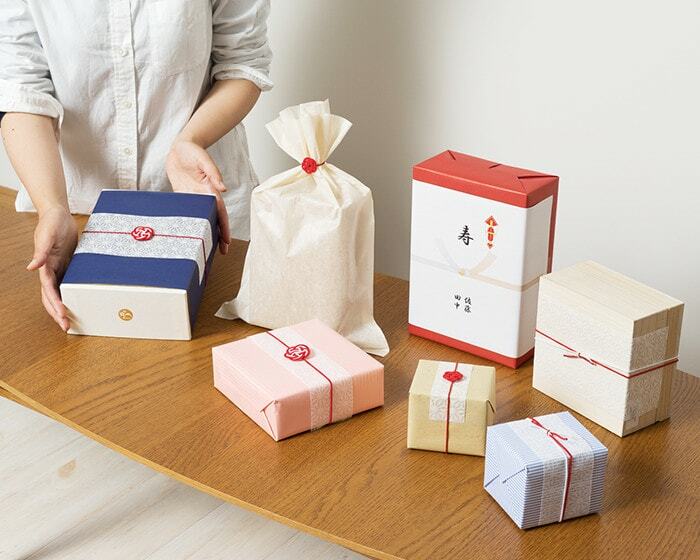 Easy wrapping with Tosa Japanese paper and Mizuhiki ribbon is the most popular wrapping.